All in One, and Futaba Quality. Fully expanded 14-channel hand-held transmitter with top-class performance and integrated telemetry function, exploiting 2.4 GHz FASSTest technology. The T14SG exploits Futaba FASSTest technology to provide optimum transmission security and a direct, ultra-precise sensation of control. 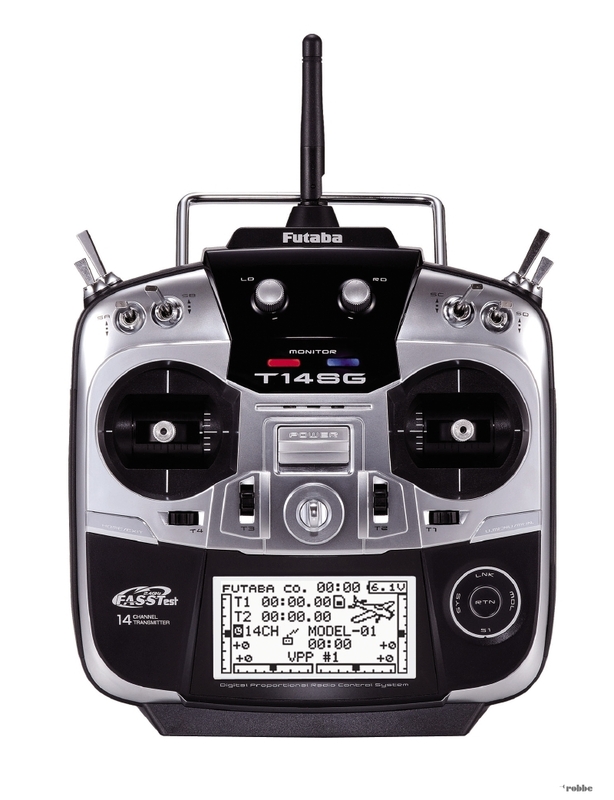 Combine all this with a comprehensive array of functions and the usual high Futaba quality, and the T14SG is the perfect transmitter for all demanding pilots. The re-designed transmitter case is now larger, lies comfortably in the hands, and provides a control layout of outstanding ergonomic efficiency. The large, centrally positioned, high-resolution, backlit 128 x 64 dot graphic screen ensures good legibility in all light conditions. The graphic user interface, with the renowned simple Futaba menu structure, makes the unit very simple to operate. The menu system can be displayed in any of 9 languages. The unit's clean, elegant lines are made possible by the new Cap-Touch system. 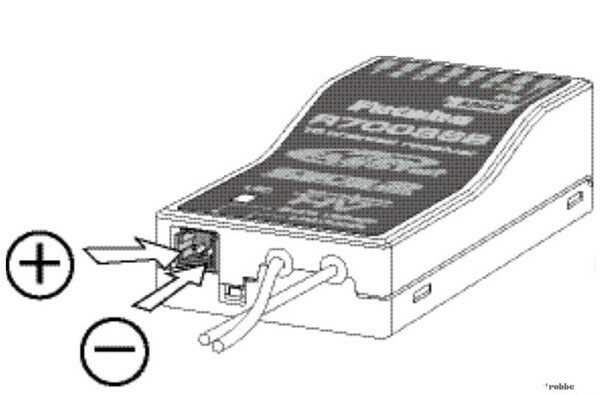 Zero-contact sensors acting as a 3D hot-key allow a smooth, sealed surface without any projecting controls. Experience the new sensation of control using the special precision dual-axis stick units, with digital trims and trim value memory. The side-mounted rotary controls provide a practical means of operating auxiliary functions without taking your fingers from the sticks. - The FASSTest® Hybrid technology combines the advantages of DSSS and FHSS Modulation. Extreme channel spread (spread factor 11) with DSSS Spreading, combined with optimised FHSS frequency hopping, produces outstanding interference rejection and ultra-fast response speeds for a direct, precise sensation of control. - The latency (delay between moving the stick and the servo’s initial movement) of the FASSTest® / FASST system is significantly faster than other 2.4 GHz systems. 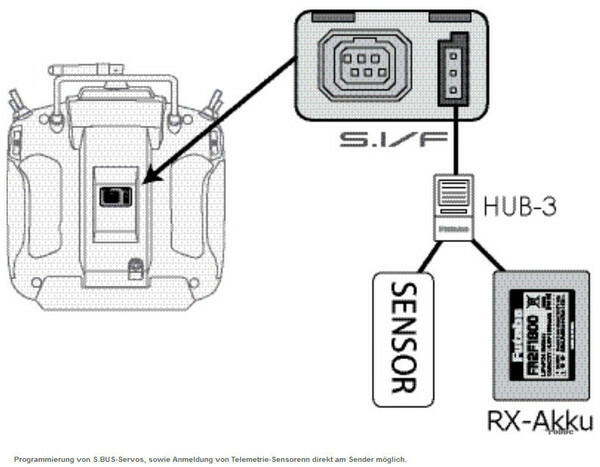 - Pre-Vision – FASST / FASSTest® receivers constantly scan the input signal, and apply intelligent Futaba error correction. - 30 integral model memories, infinite expansion possible using SD cards (max. 2 GB, SD and SD-HC), 3862 models per optional 2GB SD card. - Future-proof design, as software can be updated by SD card. Comprehensive mixer menus for models with up to 6 wing-mounted servos. In addition to the choice of wing type, the user can select from the following tail variants: normal, separate elevators with aileron function (ailvator) and V-tail. Deltas and powered flying wings with 2...6 wing-mounted servos are also available. These mixer menus are pre-programmed to suit the model type, and contain all the essential mixer functions as standard. - 5 freely assignable and switchable Dual Rate / Expo settings. - 5 free programmable mixers, linear or with 5-point curve, per model memory, optionally with / without trims and offset mixer. - Motor mixer, for 2-step motor switching, with separate speed settings for steps 1 /2 as well as forwards and backwards. Comprehensive mixer menus are also available for model gliders, including those with up to 8 wing-mounted servos. Optionally with or without motor. In addition to the choice of wing type, the user can select from the following tail variants: normal, separate elevators with aileron function (ailvator) and V-tail. Flying wings with 2 ... 8 wing-mounted servos can also be selected. These mixer menus are pre-programmed to suit the model type, and contain all the essential mixer functions as standard. - 5 flight modes per model memory, with priority allocation and variable transition delay. With logical switch function. - Trim-mixer for aileron, rudder, and elevator, with speed setting and flight phase transition delay. - Motor mixer, for 2-step motor switching, with individual speed settings for steps 1 /2 as well as forwards and backwards. 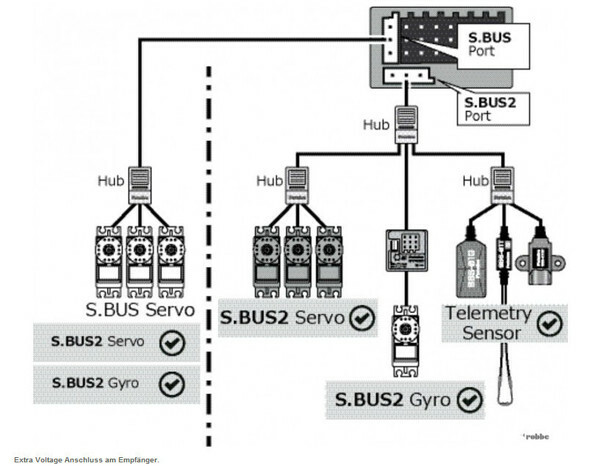 The helicopter mixer menus differentiate themselves primarily in the swashplate control. All the classic linkage types are included as standard: H1, H2, HR3, HN3, H4 and the new H3 90° and H3 140° A special feature is the new form of variable pushrod travel compensation for the H3 and H4 types. This function eliminates a common problem involving unequal travels, which can result in servo damage in the long-term when travels are fairly large or asymmetrical. The speed of the pitch-axis (elevator) function can also be adjusted, in order to avoid synchronisation problems with the HR3 / HN3 120° swashplate linkage. - 5 freely programmable linear mixers or 5-point curves per model memory, optionally with / without trim and offset mixer. - 5-point collective pitch curve, normal, idle-up 1, 2, 3, auto-rotation. With logical switch function. - 5-point throttle curve, normal, idle-up 1, 2, 3, auto-rotation. With logical switch function. - 5-point collective pitch - tail rotor mixer, normal, idle-up 1, 2, 3, auto-rotation. With logical switch function.